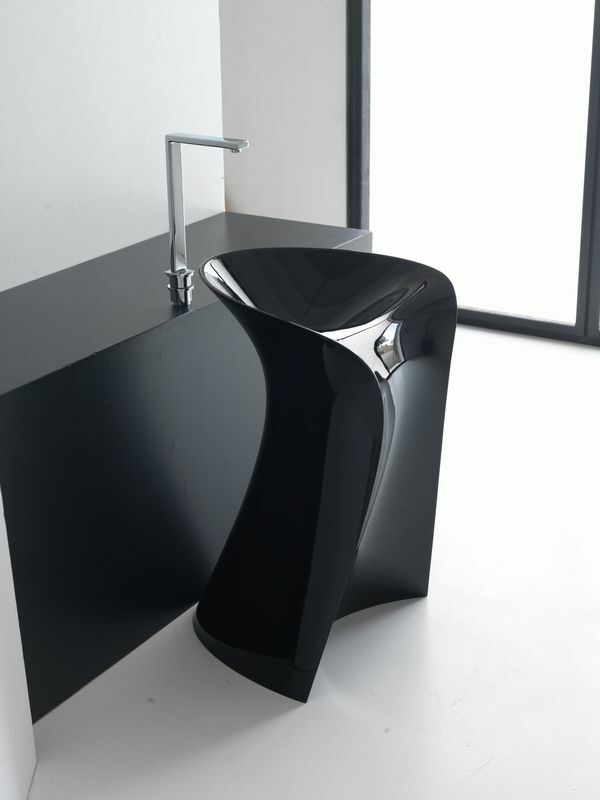 Miss freestanding washbasin characterized by soft profiles, winding and surrounding surfaces. An ergonomic design inspired by nature and by the concept of seats. Miss is a user-friendly sink: the frontal surface is designed to receive feet and then models towards the upper part like a spoon in order to create a space for the washbasin. As Fluid and natural as water flowing also the column moves smoothly from the floor towards the upper part to generate the washbasin. Miss is made of Icetek Light in white colour, or in gold, silver and black gloss finish. available with floor or wall drain cm. 55 x 50 x 89.